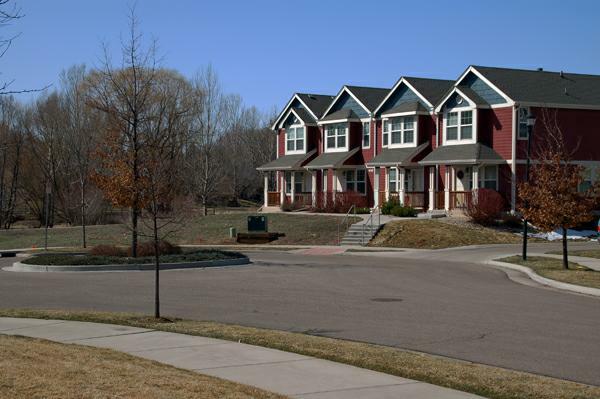 The Pinnacle Townhomes in Fort Collins border the Spring Creek Trail and are conveniently located close to both Colorado State University and Old Town. A few months ago I viewed a Pinnacle Townhome that was currently for sale. If you’re looking for a condo or townhome that is close to campus and old town this may be a good neighborhood to consider. Location – Pinnacle Townhomes are located just off of Prospect between Lemay and College Ave. The two main streets in this subdivision are Robertson St and Apex Dr. I also noticed a bus stop nearby on Prospect providing easy access to public transit. 2 Full Upstairs Baths – One of the nice features I noticed about many of these homes is that each of the upstairs bedrooms contain their own full bath. There is also a half bath located downstairs in the living areas. The home I viewed last week was also “plumbed in” for a third bath in the basement. A nice option if future living space is expanded. 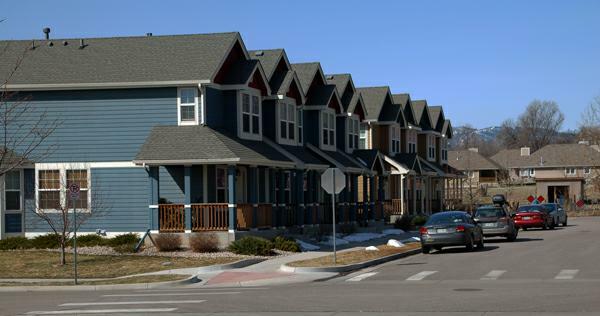 Next to the Spring Creek Trail – These townhomes are next to the Spring Creek Trail. The Spring Creek Trail is a paved pedestrian/bike path that runs from beyond Timberline Road all the way to Overland Trail and the foothills. Along its winding way, the Trail intersects many parks and other popular destinations in Fort Collins. 1 Garage – Most homes for sale provide a one car garage as well that is located at the rear of the townhome. Please feel free to give me a call (970-590-3201) if you’d like help searching for a condo or townhome in Fort Collins. Originally posted on Active Rain. This entry was posted in BLOG, Fort Collins Condos, Local Info and tagged fort collins condos, fort collins real estate. Bookmark the permalink.